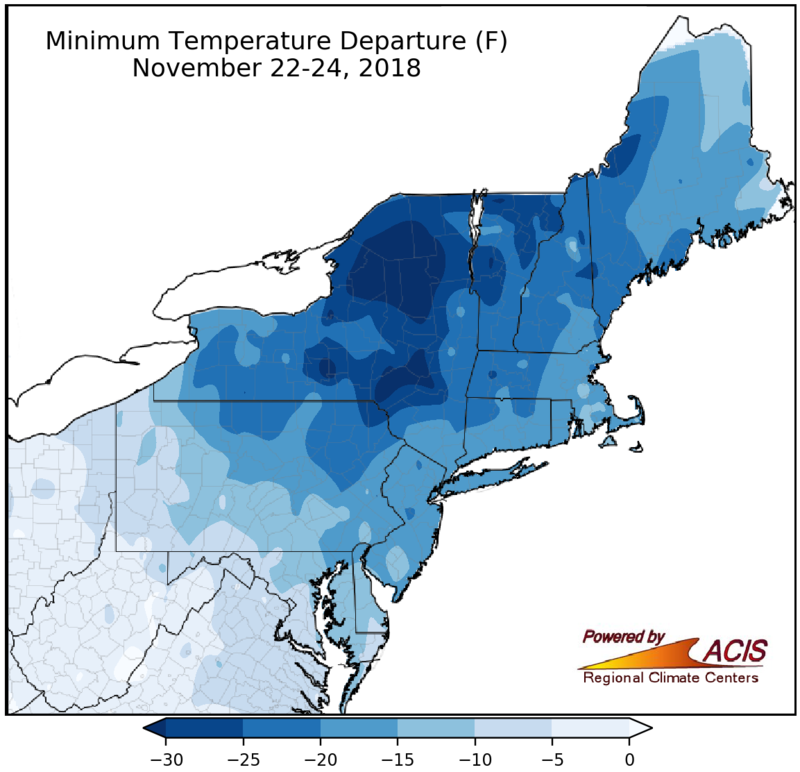 An unseasonably cold air mass settled over the Northeast for the Thanksgiving holiday, with temperatures more than 30°F below normal in the coldest areas. 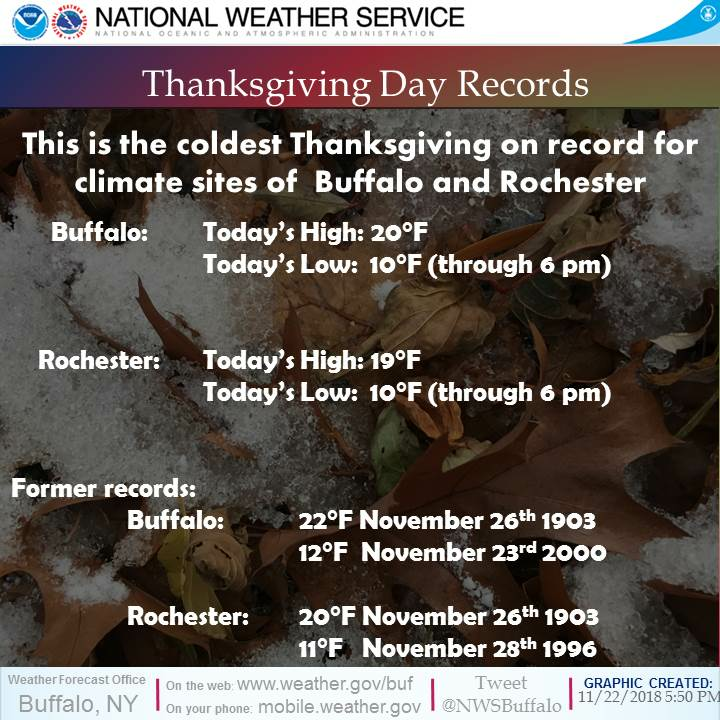 Preliminary, unofficial data indicate that these were some of the all-time coldest November temperatures on record for the entire state of New York. Low temperatures from November 22-24 ranged from more than 30°F colder than normal to near normal. Ithaca, NY, is a good example of how cold it really was! Ithaca’s normal low temperature on November 23 is 30°F, but the site recorded a low of -5°F, which is 35°F colder than normal and its all-time coldest temperature for November (records to 1893). In fact, six major climate sites also had their all-time coldest November temperature on record. More than 50 daily temperature records were set from November 22-23 at the major climate sites. These major climate sites had their all-time coldest November temperatures on record.